Happy Sunday Y’all! 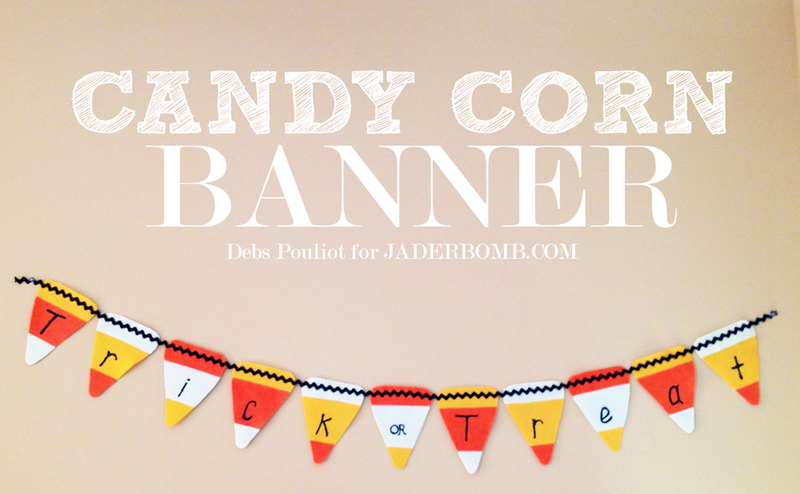 I took a break today and my friend Deb’s will show you how she made her “Candy Corn Banner”. It’s super cute and I know you will just swoon over it. I am super excited today because Martha Stewart featured my candy corn lamp on her website. 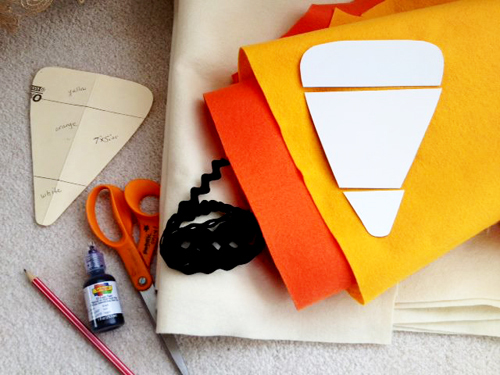 Trace and cut out two candy corn shapes on cardboard (cardboard is sturdier to draw around over the felt). Leave one template whole and cut the other into thirds as shown in the pic. 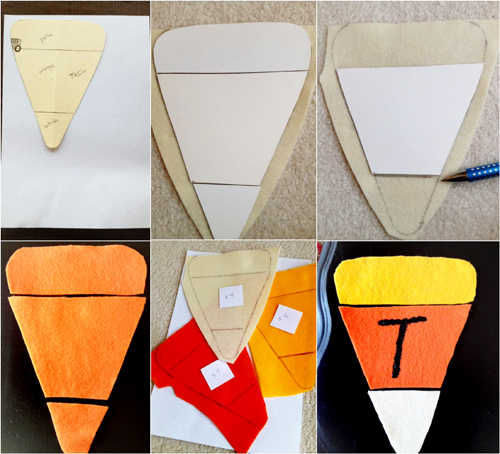 Trace around cut templates on felt until you have four felt candy corns in each color for a total of twelve (Even though my banner was only 11 pieces I used an extra candy corn to write “or” on). Lay out the shapes alternating colors as shown to form the candy corns. Glue or sew on the ric rac along the tops, connecting them all side by side to create the banner. Write T-r-i-c-k- or T-r-e-a-t with the dimensional paint, let dry and then display on wall or in doorway. Note: you can also make these from card stock or if you want to display your banner outdoors, you can use vinyl/waterproof fabric. Check out these Fall and Halloween tutorials. Woah! 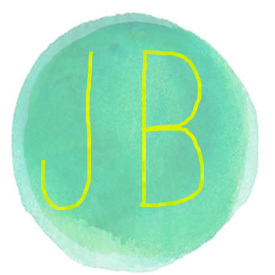 I’m really loving the template/theme of this site. It’s simple, yet effective. A lot of times it’s very difficult to get that “perfect balance” between usability and visual appeal. I must say you’ve done a fantastic job with this. In addition, the blog loads super quick for me on Safari. Excellent Blog!